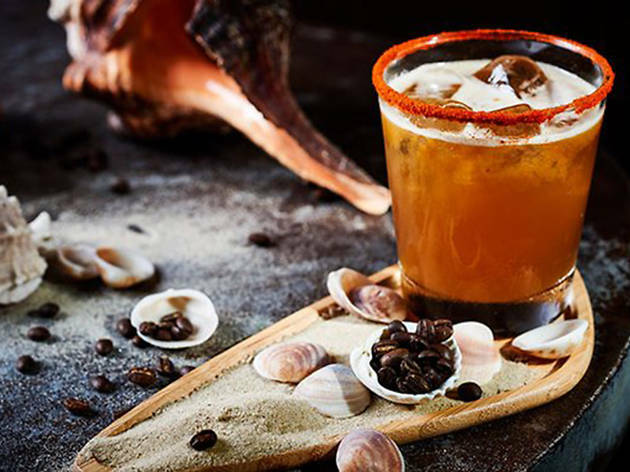 The self-dubbed “House of Eats & Spirits” combines the inspiration of flavors of the Caribbean and Mexico to create an experience that will have you feeling like you’ve just been jetted off to an exotic beach vacation far away from the Mediterranean. 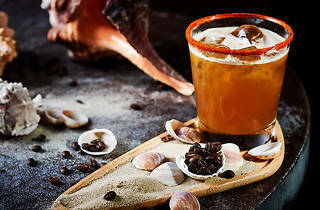 La Otra comes from the same creators of the popular Imperial craft cocktail bar and does not disappoint with its selection of fun and whimsical cocktails. These range from the “Grow A Pear” cocktail (concocted from Bombay Sapphire gin, pear-infused Holland gin, Aperol, and St. Germain, as well as green grapes, lime, cranberry, and a splash of sauvignon blanc wine) to “Snoop's Summer Kool-Aid,” a blend of Del Maguey Vida mezcal, pisco mix, watermelon syrup, and pineapple and lime juice. La Otra also boasts Israel's largest selection of mezcal, tequila, and rum.